Do you sell War Collectables, Memorabilia or Militaria items? 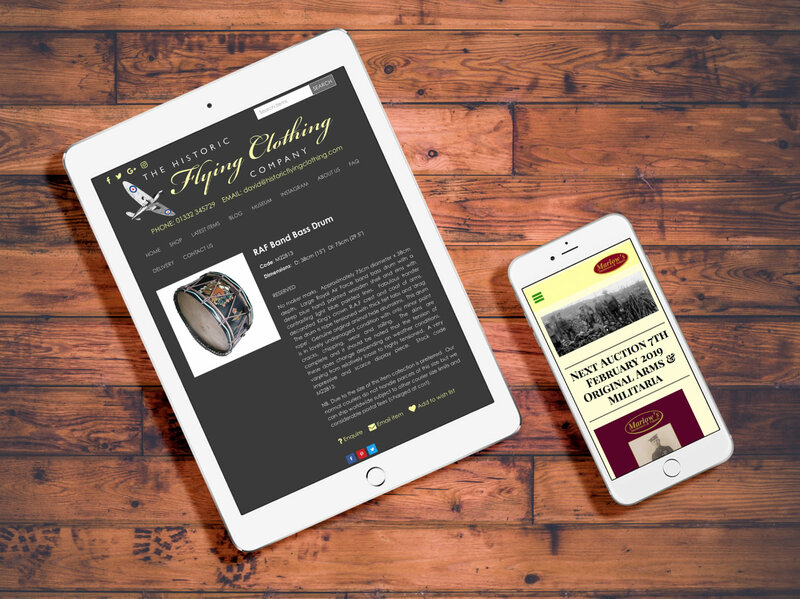 We provide websites for militaria and collectables dealers just like you. Our websites come with secure certificates as standard! More than 55% of online sales are now made on a mobile or tablet. So if you have a non "responsive" website then you'll likely be losing out on sales! Our off the shelf platform has lots of designs you can choose from, and we regularly introduce new design themes so you can keep your website looking fresh! We can also customise each design for you to the colour scheme of your choice. We re-invest into our platform and we are regularly adding new features, improvements, fixes and upgrades to the platform so your website, and the technology behind it stays up to date and doesn't get stale! To find out how we can help your war memrobelia & collectables business grow online, please contact us today.